Need a pop of color on a dreary, gray day? 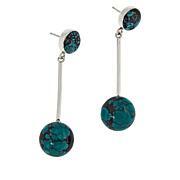 Slip on these gorgeous turquoise blue earrings and beam ear to ear. Just don't lend them; you might not get them back! Love these earrings. Nice length and a simple yet elegant design. 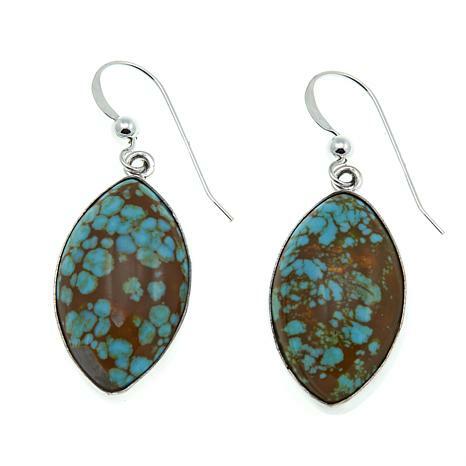 Nice blue with just a hint of brown and earrings are not too big. Very wearable. I feel very lucky that these earrings match my Sonoran necklace so perfectly. They are wonderful. I absolutely love and enjoy them. 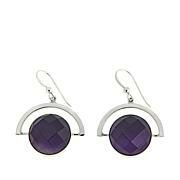 Jay, do you think there is a chance we could have thin tube plastic backings for your earrings in the future. Thanks. I ordered these earrings to go with the matching ring and the Old Number 8 Pendant necklace and they all match perfectly. I am always amazed at how things go together so beautifly. The earrings I received had brown and gold matrix as shown on TV. 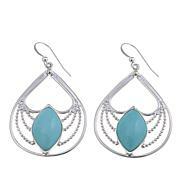 The earrings are very nice and the sonoran blue is a match to the necklace and pendant I got two weeks ago. My earrings do not have enough brown running through it. 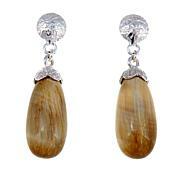 Earrings are just blue with a hint of brown here and there. I can't decide whether to return them for a different pair. But since I cannot choose my earrings that are sent I probably won't do this. There is so much brown in the pendant that perhaps the simple blue with hints of brown is just right.